Sleek, compact vaporizers inspired by the look and performance of luxury yachts are the bread and butter of Quant, a premium supplier of vaporizer hardware. They describe their products as “discreet” and “dapper”. One visit to their website and you’ll see why. Quant’s passion is rooted primarily in design. They’ve created beautiful vaporizers for herbs, waxes, and oils whose sophisticated appearance is matched by high performance. These vaporizers don’t just look the part; they dispense a smooth, flavorful flow using convection technology. The heating element creates minimal soot (i.e. less carcinogens), and the battery charge is known to last for days. They are durable, compact, and most users say they are the best vaporizers they’ve ever tried. 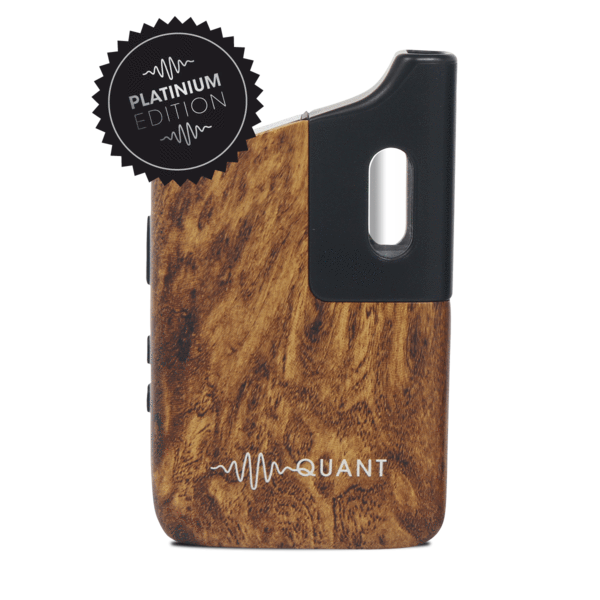 Quant offers its easy-to-use vaporizers in four upscale finishes in addition to their deluxe grinders (electric and mechanical) and vape accessories. Though they look expensive, Quant’s products are affordably-priced compared to similar competition in the space. Promoting the Quant affiliate offer earns a 20% revenue share on the order total. 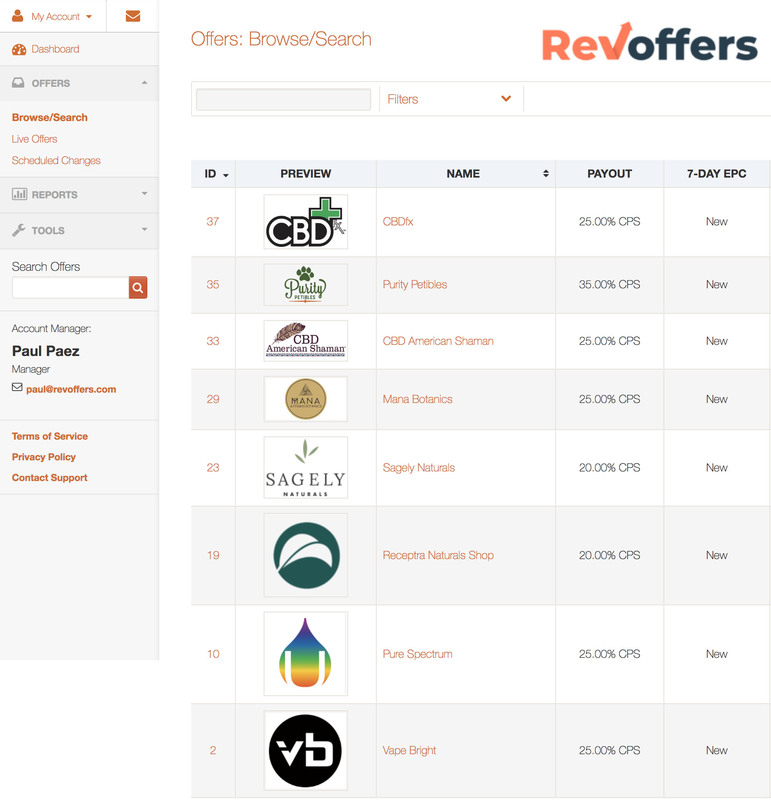 Quant affiliates use a 15% coupon to incentivize their traffic, can double conversion. 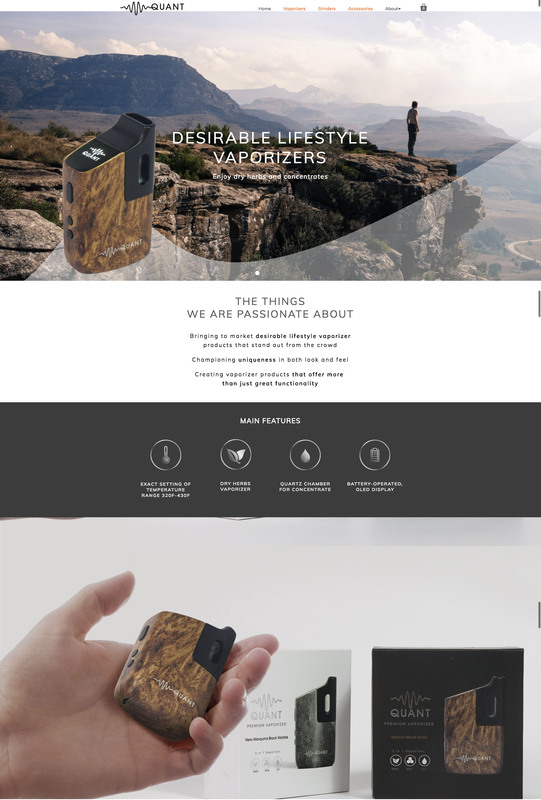 Quant Vapor’s product line is extremely unique, exuding sophistication. Vape enthusiasts are thrilled to use a device that doesn’t look like what everyone else has, and the efficacy of the devices themselves is uncontested. 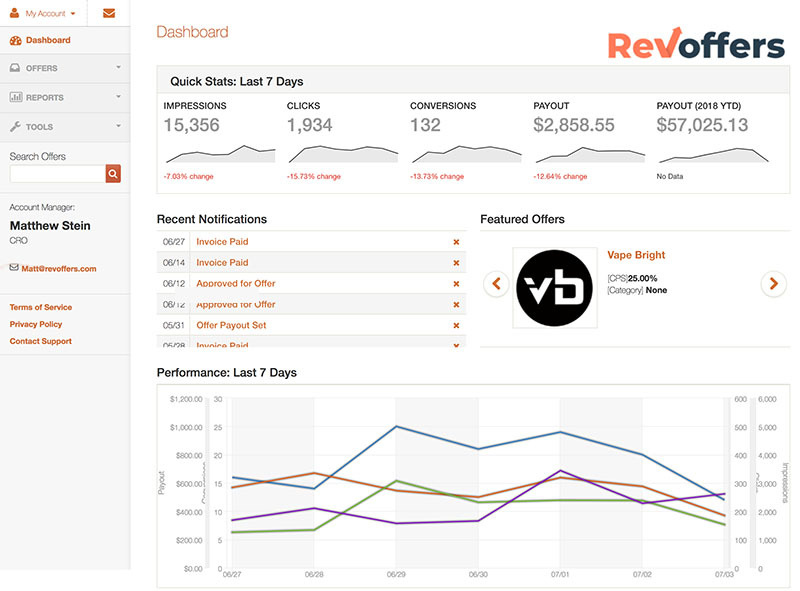 RevOffers has decided to partner with Quant Vapor due to their uniqueness of design and commitment to mechanical quality.